Mark positions under bow for permanent placement of headlights. Drill 1/2″ hole, insert rubber grommet and tighten bolt. 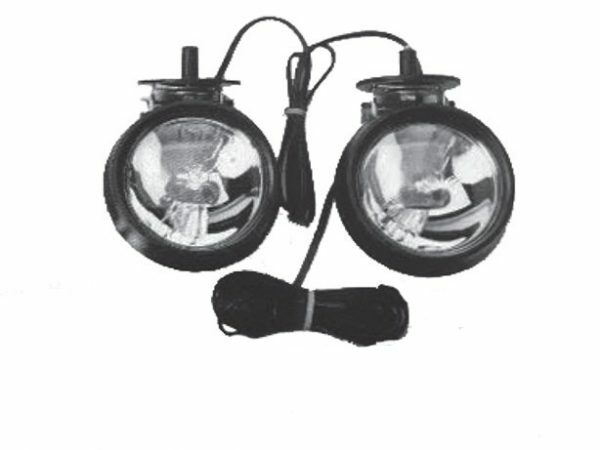 If more or less wire is needed between the two housings, pull bulb out of single wire housing by rolling back the rubber housing, and adjusting wire accordingly. Run the power cord down the railing of boat and attach to battery. 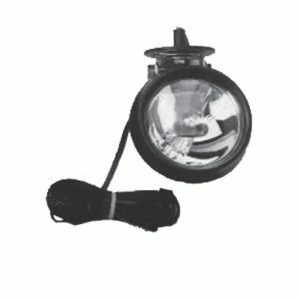 NOTE: To remove for daytime fishing, taking out rubber grommet and bolt from the light and bracket, and insert back in hole and tighten to protect hole from water.